Christmas day twins! Is there anything better? Talk about double the blessings on Christmas day! Leah and Reese came to see me a few days before their actual due date and oh me, oh my, these girls were nothing but double the sugar and spice! 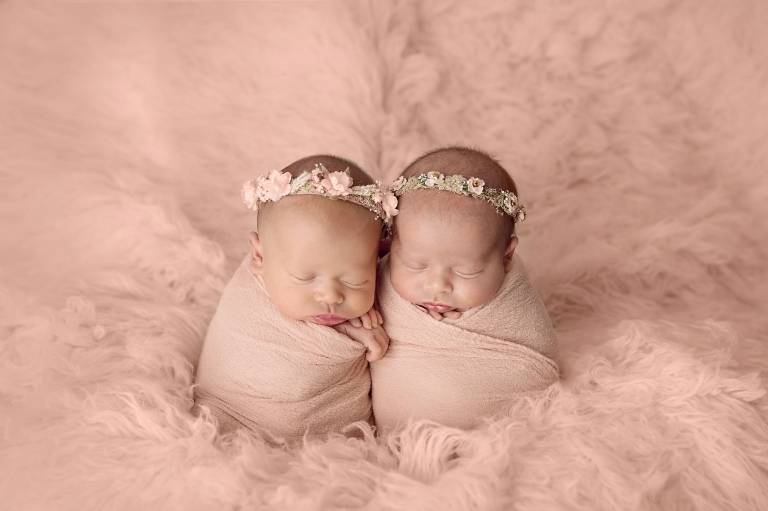 Cleveland Newborn Twins Photographer sessions can sometimes be a challenge (well, so can a regular newborn session) but these girls made our job easy. I love how sweet and simple this session turned out. Momma requested pink, cream, and white….my favorites! And of course their big sister was so in love with them, she certainly will be a huge help to her momma as she has her hands full times two! I hope that this images find a special place on their wall for years to come! 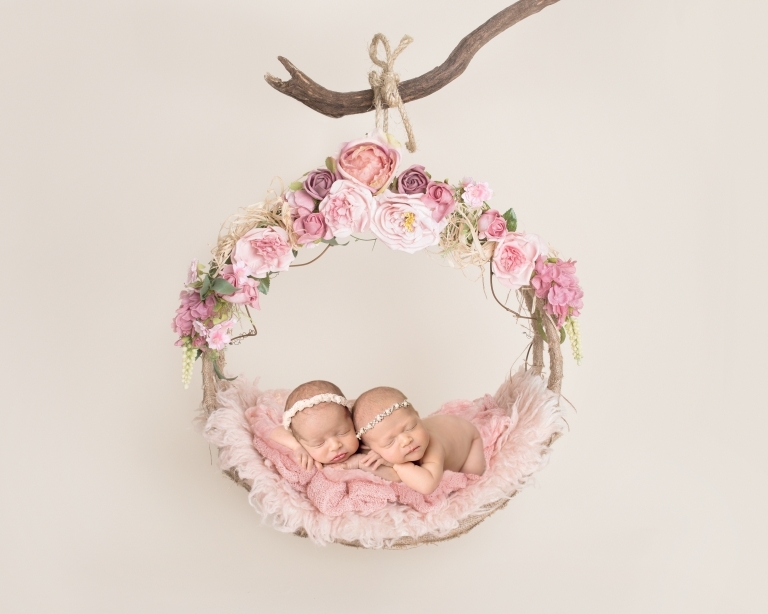 Looking for Cleveland Newborn Twins Photographer? 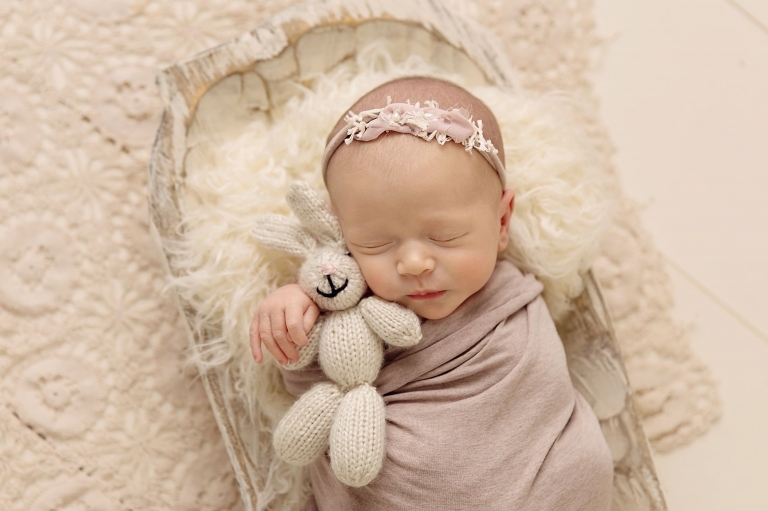 Please visit the newborn session information page. Mary Christine Photography is a Cleveland newborn photographer and has years of experience handling, posing, and soothing babies! Twins are always amazing to work with and I have had the honor of working with many over time. There is nothing more satisfying that delivering timeless images for families to love for generations to come! To schedule your session, please contact Mary at mary@marychristinephotography.com. Thank you for stopping by the blog!